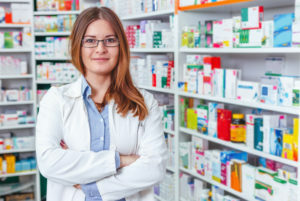 The Association of American Medical Colleges has reported on the need for strengthened training in safe and effective prescribing for U.S. medical students. Recognizing this as important health care issue, the PhRMA Foundation has created course modules in safe and effective prescribing, which are being made available to medical students, physicians, nurse practitioners and pharmacists nationwide. The materials have been created with the assistance of the National Institutes of Health (NIH), the Foundation for the NIH, the American Society for Clinical Pharmacology and Therapeutics (ASCPT) and the Reagan-Udall Foundation. The PhRMA Foundation firmly believes that efficient and safe prescribing requires specialized training. The Safe and Effective Prescribing Project addresses this need by providing educational modules by nationally recognized experts in various pharmacological disciplines. The objective of these recordings is to better prepare current and future prescribers to consider their patients’ best interests, maximize efficacy, and minimize toxicity, addressing topics such as pediatric and geriatric prescribing, special populations, and adverse reactions. Each module includes a video tutorial, led by an expert in prescribing; a self-assessment test; a case study; and a supplemental list of research and resources. Module users are encouraged to take the self-assessment test first, then use the other materials before returning to the self-assessment test to check what they have learned. Drug interactions occur when a substance affects the activity of a drug when both are administered together. The interaction of substances in this way may have consequences for the health of patients, including increasing the risk that side effects will occur during treatment. This module examines the different kinds of drug interactions, the principal mechanisms that cause them, and how to understand complex drug interactions. It also is designed to help prescribers interpret the clinical significance of various types of drug interactions and learn how to access drug interaction information in product labeling and tertiary references. The care of neonates treated in neonatal intensive care units (NICUs) is a complex undertaking, making the use of medications a challenge. Prescribers must take care in assessing the impact of various medications on neonate health. This module examines the impact of weight, body composition, genetics and other factors in neonatal medication use. It also discusses the use of specific medications in neonates, the determinants of neonate drug responses, and various challenges in neonatal clinical pharmacology, including drug absorption and other issues. Adverse drug reactions (ADRs) are undesirable or potentially harmful effects that may occur when taking a drug. All drugs have the potential to cause ADRs, which can range from mild to severe. The incidence and severity of ADRs vary widely. It is estimated that between 3 and 7 percent of hospitalizations in the United States are due to ADRs and that their rate of occurrence during hospitalizations may be as high as 10 to 20 percent. This module presents a comprehensive overview of ADRs, including factors that increase the likelihood of an ADR occurring, the use and limitations of safety studies, and why it is important for healthcare providers to assess and report ADRs. Older patients often cope with multiple concurrent diseases. This presents many opportunities for therapeutic pharmaceutical intervention, but because of the complexity of concurrent-disease treatment, there are also many challenges. Prescribers must carefully assess disease states and appropriate therapies in order to optimize therapeutic effects while minimizing the chance of adverse drug reactions. This module presents background and trends in aging, concurrent disease and therapeutic interventions, with key strategies aimed at polypharmacy — the simultaneous use of multiple drugs by older patients for one or more conditions. Obstetric pharmacology is a relatively new field that focuses on pregnancy as a special population in terms of pharmacokinetics. This module describes changes in hormones and other factors in pregnancy that are of importance in prescribing and explains the primary pharmacokinetic changes that occur during pregnancy affecting amoxicillin and digoxin. It also explains the effects of pregnancy on the hepatic metabolism of medications used during pregnancy, including lamotrigine and others, and why the net effect of pregnancy changes is not always predictable. Dr. Robertson is Senior Director in Clinical Pharmacology at Vertex Pharmaceuticals, a global biotechnology company. An expert in clinical drug interactions, she worked previously as a Clinical Pharmacology Research Fellow at the National Institutes of Health and a Clinical Pharmacologist at the U.S. Food and Drug Administration, where she was Team Leader for Antiviral Drug Products in the Office of Clinical Pharmacology at the Center for Drug Evaluation and Research (CDER). Dr. Robertson received a B.S. in chemistry from Marquette University, and a Doctorate of Pharmacy from the University of Wisconsin at Madison. Dr. van den Anker is Vice Chair of Pediatrics for Experimental Therapeutics and Director of Pediatric Clinical Pharmacology at Children’s National Medical Center in Washington, D.C. He is also Professor of Pediatrics, Pharmacology and Physiology at George Washington University School of Medicine and Health Sciences, where he holds the Evan and Cindy Jones Chair in Pediatric Clinical Pharmacology. An expert in pediatric clinical pharmacology, Dr. van den Anker has received several major research awards from the National Institute of Health (NIH) and has published more than 250 peer reviewed papers in the field of neonatal and pediatric clinical pharmacology. Dr. Chamberlain is a Safety Evaluator in the U.S. Food and Drug Administration’s Division of Pharmacovigilance I. She is a retired Captain of the U.S. Public Service and has served in various clinical settings at the U.S. Indian Health Service, U.S. Substance Abuse and Mental Health Services Administration and the National Institutes of Health, with experience in internal medicine, endocrinology/diabetes, mental health, and transplantation. Dr. Chamberlain is a certified diabetes educator and board-certified pharmacotherapy specialist. As an FDA Safety Evaluator, she analyzes post-marketing adverse event data from the Food and Drug Administration Adverse Event Reporting System (FAERS) to identify drug safety concerns with diabetes medications and recommends actions to improve product safety. Dr. Chamberlain received a PharmD from Idaho State University and bachelor’s degree in Pharmacy from University of Rhode Island. The late Darrell Abernethy, MD, PhD, served in a variety of important posts in pharmacology, including directing initiatives at the National Institutes of Health and the U.S. Food and Drug Administration aimed at better understanding adverse drug reactions and optimizing the use of medicines in older patients. He was nationally recognized for his academic research and served as a member of the medical faculties at Tufts University School of Medicine, Baylor College of Medicine, Brown University and Georgetown University School of Medicine. Dr. Abernethy earned MD and PhD degrees at the University of Kansas, with further medical training at Harvard Medical School and Boston University. He was Editor-in-Chief of the journals Pharmacological Reviews and Pharmacology Research and Perspectives. Dr. Stika an expert in obstetric-fetal pharmacology, is on the medical faculty at Northwestern University’s Feinberg School of Medicine. She received her MD at the State University of New York at Syracuse Medical University and completed residency at Michael Reese Hospital and Medical Center. Dr. Stika is the Clinical Project Lead at Northwestern’s Obstetric-Fetal Pharmacology Research Center. She is board-certified by the American Board of Obstetrics and Gynecology and has published extensively on a variety of topics related to pharmacology and obstetrics.